Although I love false lashes, and the added theater they bring to the eyes, I rarely, if ever, use falsies on myself. Regardless, I always find myself at the false lashes section at stores, like Loft, gawking at the wide array of lashes, sorting through them, and, finally, purchasing a few pairs. 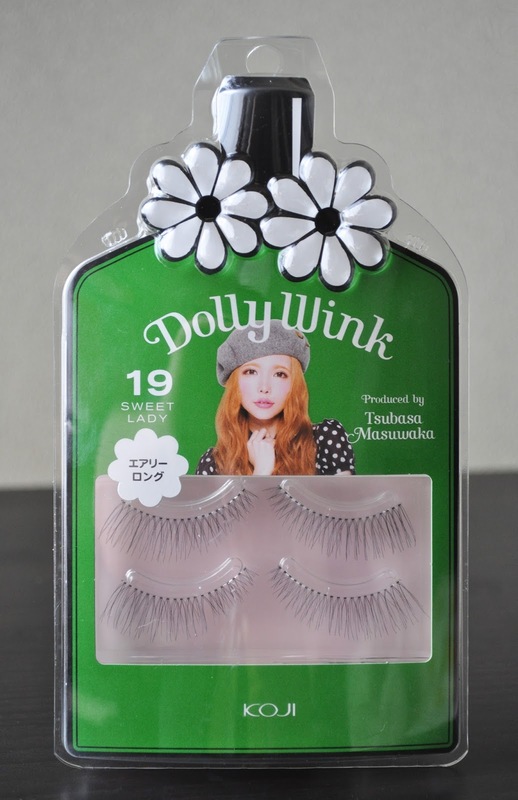 My recent acquisition: Dolly Wink's No.19 Sweet Lady False Lashes (1,260yen/$12.08). I love the wispy look of No.19 Sweet Lady false lashes, as well as their clear band. The No.19 Sweet Lady fuses perfectly with ones own lashes, giving a pretty flirty effect. I LOVE dollywink eyelashes! I find I much prefer the Japanese "stylised" falsie patterns that give a more natural/ slightly dolly effect with their spiky silhouette compared to the even shelf of hair you get with most western brands (eg: the ardell wispies). I think it looks a lot more plausible, especially on smaller, less lashy East asian eye. That, and the invisible band is like the most comfortable falsies I've ever come across. :D I currently own and love the #9 Natural dolly, and when I do make the effort to wear them it's like "oh YAH, my eyelashes naturally look like this. 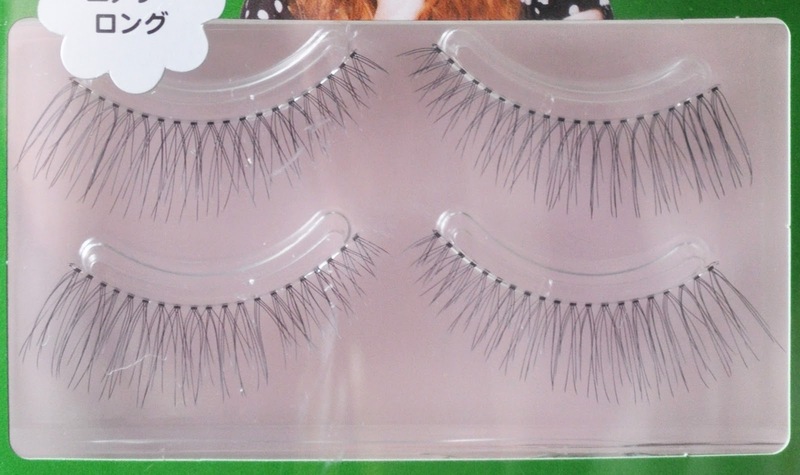 *hairflip*"
Dolly Wink lashes are a fav of mine, as I feel they look more "natural" I also prefer clear band falsies.